Complete a registration package, including the application, and answers to personal, anecdotal queries. Take the Foreign Service test. Wait for the Qualifications Evaluation Panel to review your information and test. Get invited to take the Foreign Service Oral Assessment. Candidates have to be at least 20 years old to test, and a candidate cannot become an FSO until he or she is 21; additionally, a candidate cannot be older than 59. Candidates must be U.S. citizens who can work anywhere in the world. When a candidate registers, he or she will be asked to choose a career path. Once a path has been chosen, a candidate cannot change it during the selection of candidates. The choices are: management career track, consular career track, economic career track, political career track or public diplomacy career track. After registration, candidates have one year to take the test. After the year is up, candidates need to re-register if they still want to take it. Per regulations, a candidate cannot become an FSO if he or she has been separated, resigned or retired from the FSO in the past. There is no educational or foreign language prerequisite. After registration, candidates will get an e-mail invitation to schedule testing. If a candidate claims on registration that he or she knows Arabic, Chinese-Mandarin, Hindi, Persian-Dari, Persian-Farsi or Urdu, he or she will also be requested to make an appointment for a telephone assessment regarding fluency in that language. Candidates will receive an e-mail with directions on how to proceed with this portion of the test. 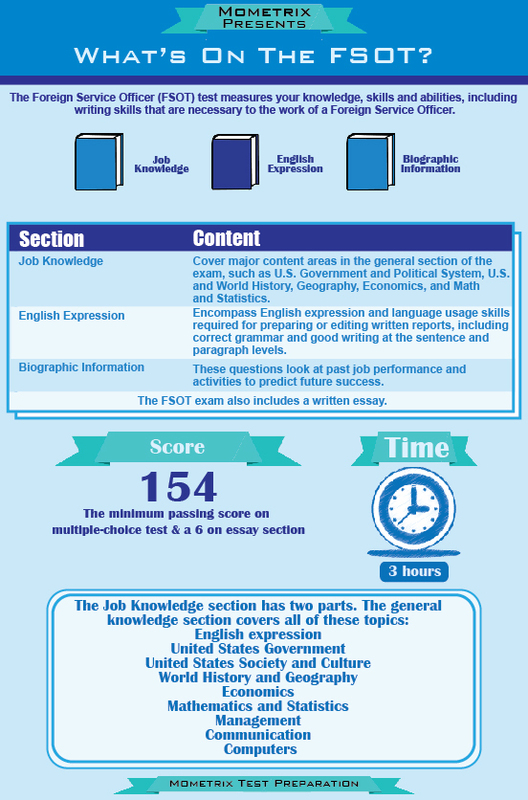 Candidates must pass the three multiple-choice sections before the essay is graded. All four sections must be passed in order to move on to the next step in the process. 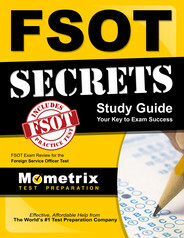 How to pass the FSOT Exam! Ace the FSOT test using our FSOT exam study guide with practice questions. 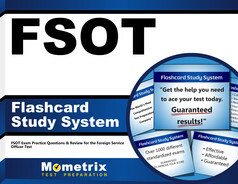 Quickly Solve Difficult FSOT Test Questions with the FSOT Flashcard Study System.